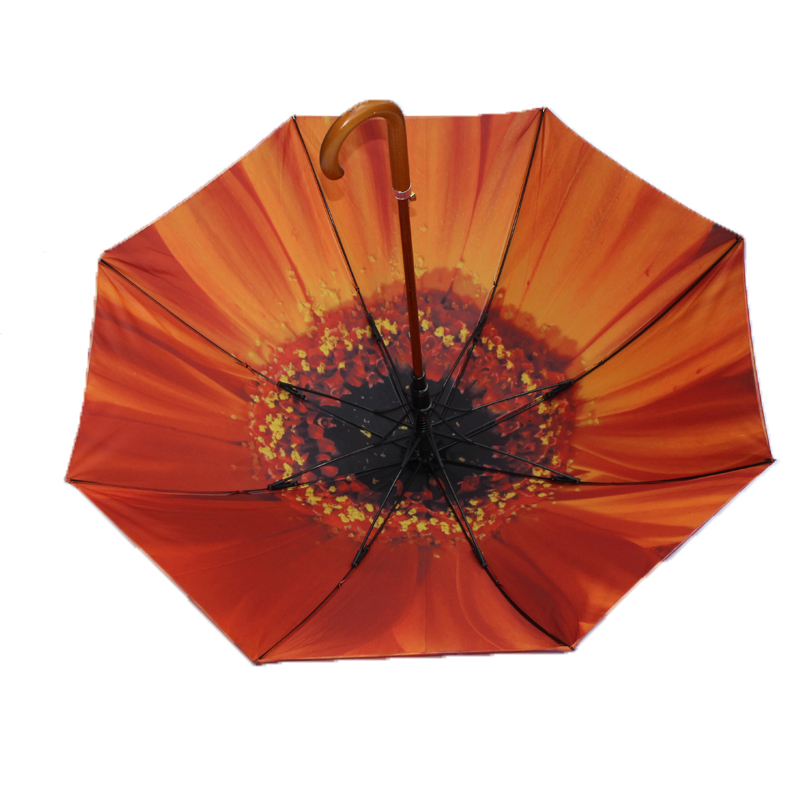 Introducing this outstanding orange flower umbrella from our exclusive Flower Umbrella range! 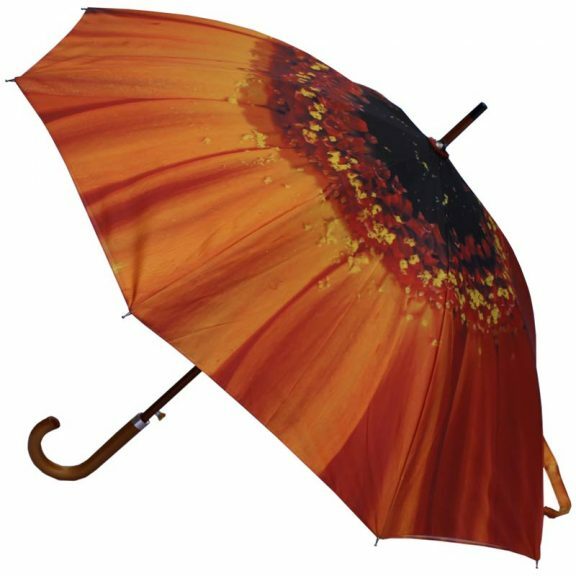 This is one of a range of six superb, colourful double canopy, auto-open floral umbrellas! 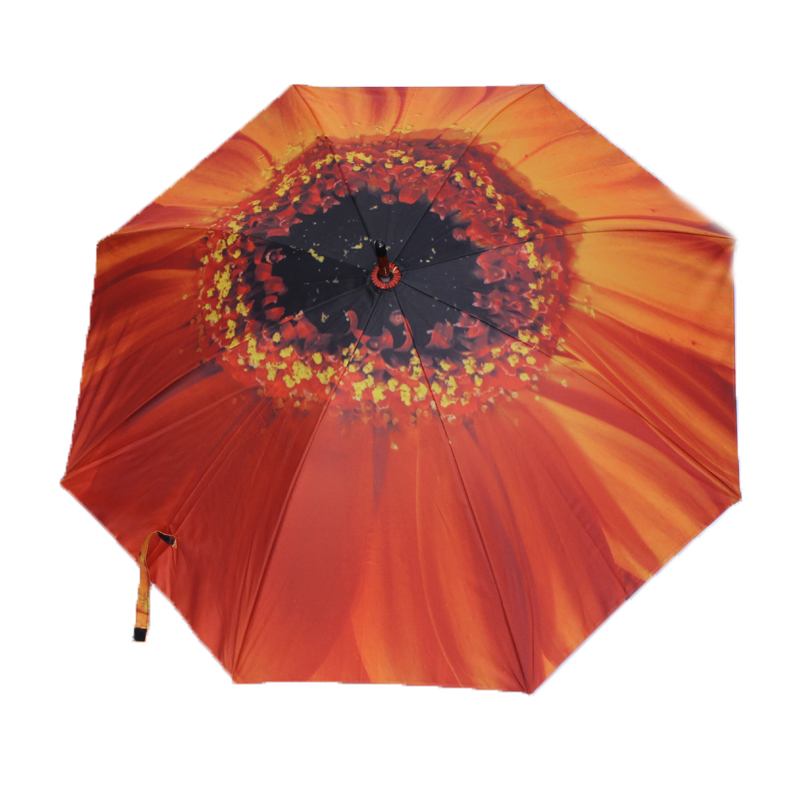 These vibrant orange flower umbrellas are sure to brighten up your day, no matter what the season! If orange is your colour, you’ll simply adore this unique and exclusive orange flower umbrella. Blossom and bloom at that special event or garden party. Or simply stand out in the crowd and watch them smile as you walk down the high street. A simple touch of the distinctive black / gold auto-open button launches a powerful spring release windproof frame. 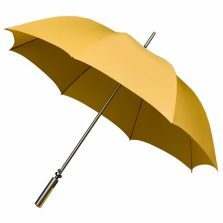 Keep dry and protected from wind, rain or sunshine! 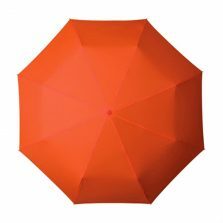 With this adorable orange flower umbrella it’s what’s on the inside that counts! Most printed umbrellas have a single canopy with the print facing outwards. The underside is invariably not printed giving a paler faded appearance when viewed from the underside. Not so with our Double Canopy Flower Umbrellas! The inner canopy has the same high quality digitally printed design reversed to face downwards. So, you too can enjoy the vibrant colours of these gorgeous flower print parasols! Featuring a traditional wooden shaft and polished wood crook handle. 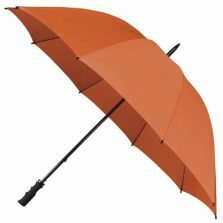 These bright orange flower umbrellas are a top quality floral brolly – and feel comfortable to hold. Also yes, they are windproof! These fantastic floral umbrellas have a strong, double polyester canopy supported by 8 flexible fibreglass ribs. Also, the innovative cantilever action, energy absorbing ribs are designed to resist strong winds on the most blustery of days. Look after this sensational orange floral umbrella and it will look after you for many years to come. 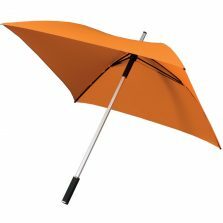 Available only here at Umbrella Heaven these fun and functional orange flower umbrellas are an exclusive you don’t want to miss! Other colours in the range include, red, orange, yellow, pink and purple. Not the right umbrella for you? 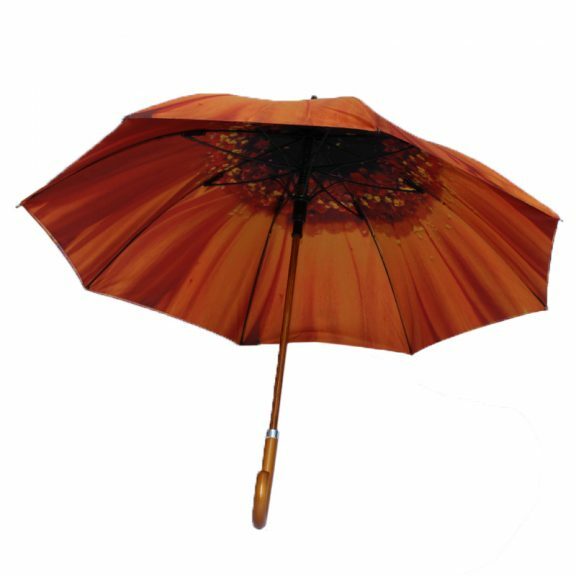 Check out the rest of our flower umbrellas!